Doctorate in Pharmacology (faculty of medicine), serving at FDTRC, NIN for over 32 yrs in various capacities. As a Pharmacologist associated in establishing State-of-Art facility at Centre for Advanced Research for Preclinical Toxicology (PCT) established in 1999 by ICMR at NIN with team of other scientists. Areas of work: i. Preclinical safety / efficacy evaluation of Biopharmaceuticals, GMOs, etc., ii. Social Drug Epidemiology, iii. Detection of early Lead toxicity & prevention. Key contributions: In the recent past, a challenging work has been undertaken for the first time in the country on preclinical safety evaluation of indigenously developed Recombinants, r-DNA anti rabies, Human Papilloma Vaccine (HPV), innovative therapies (Human Adult Mesenchymal Stem Cells (MSCS),GMOs for which there are no defined regulatory guidelines. Among the other screened products -Interferon, Japanese Encephalitis & Tetravalent Vaccine, Traditional Ayurvedic formulations & Bhasmas (Herbo-minerals), other foods and food additives etc. The above activity is ongoing at PCT which has become a self sustained & successful model of Public-Public, Public-Private Partnership Collaborative Centre of ICMR. More than 45 different products have been screened and 20 of them are translated in clinical use or in clinical trial. Developed two educations films: i) Promotion of Rational Drug use ii. Prevention of Lead Toxicity in addition to other scientific activities. Expert Committee Member: i. Developing guidelines for pre /clinical trials in ASU Drugs, ii. Drafting the guidelines for Accreditation of Ethics Committee, Clinical Trial Sites and Investigators for MoH& FW, GOI., rules for financial compensation in the case of trial related injury or death. Norman Borlaug fellow, GLP Trainer for South East Asian Countries (WHO-TDR), National President- Indian Pharmacological Society (2014-2016). Dinesh Kumar B, Uday Kumar P. Prasanna Krishna, T. Kalyanasundaram, S. Suresh, P. Jagadeesan, V. Hariharan, S. Nadamuni Naidu, A. Kamala Krishnaswamy, Rangarajanb P.N, Srinivasanc V.A, Reddyc G.S, Sesikeran B. Evaluation of Preclinical Toxicity and Immunopathology of DNA Rabies Vaccine and Combination Rabies Vaccine in Rhesus Monkeys (Macaca mulatta). Indian J Med Res 137, June 2013, pp 1072-1088. P. Uday Kumar, B. Dinesh Kumar, V.V. Annapurna, T. Prasanna Krishna, S. Kalyanasundaram, P. Suresh, N. Harishankar, V. Jagadeesan, S. Hariharan, A. Nadamuni Naidu, Kamala Krishnaswamy, P. N. Rangarajan, V.A Srinivasan, G. S. Reddy and B. Sesikeran. Nonclinical toxicology study of recombinant-plasmid DNA anti-rabies vaccines, Vaccine 24: 2790-2798, 2006. Srinivasa Reddy Y; Raghu P; Dinesh Kumar B. Thiamine reduces tissue lead levels in rats: mechanism of interaction. Biometals. 2010; 23: 247-253. Srinivasa Reddy Y, Raghu P, Radha Krishna KV, Uday Kumar P, Dinesh Kumar B: Lead and Essential Trace Element levels in School Children: A Cross Sectional Study. Annals of Human Biology : 2010, epub 1-6. Kamala Krishnaswamy, B. Dinesh Kumar and G. Radhaiah., A Drug survey - precepts and practices, Eur J Clin Pharmacol. 29: 363-370, 1985. M. Chalamaiah, T. Jyothirmayi, K. Bhaskara chary, A. Vajreswari, R. Hemalatha and	B. Dinesh kumar. Chemical composition, molecular mass distribution and antioxidant capacity of Rohu (Labeo rohita) roe (eggs) protein hydrolysates prepared by gastrointestinal proteases. Food Research International, 52, 221-229. (2013) . Y.S.R. Krishnaiah, P.Veeraraju, B.Dinesh Kumar, P. Bhaskar and V. Satyanarayana., Development of colon targeted drug delivery system for mebendazole Jour. Contr. Release. 77: 87-95, 2001. Vijayendra Chary. A, Hemalatha. R, Narendra Babu. K, Ramesh Kumar. R, Sathavahana Chowdary, Dinesh Kumar. B: CD23, Total IgE and Th1 / Th2 Cytokines in Asthama Patients. IJPPS vol 4, Issue 3, 2012. B. Dinesh Kumar, T.C. Raghuram, G. Radhaiah and Kamala Krishnaswamy., Profile of drug use in urban and rural area, Pharmaco Economics. 7: 332-46, 1995. .
Krishnaiah Y.S.R, Satyanarayana V, Karthikeyan R.S and Dinesh kumar B. Reverse phase HPLC estimation of celecoxib in tablet dosage forms Acta Ciencia, Indica. 2001; 27: 79-82. B. Dinesh Kumar and Kamala Krishnaswamy., Detection of lead nephropathy using early renal markers, J Toxicol and Clin Toxicol. 33: 331-35, 1995. Bhargavi P.S, Gopala Rao T.V, Mukkanti K, Krishna T.P, Dinesh Kumar B. Profile of antibiotic consumption, sensitivity and resistance in an urban area of Andhra Pradesh, India. Singapore. Med J2012; vol 53, Issue 4. Chalamaiah M, Hemalatha R, Jyothirmayi T, Diwan PV, Bhaskarachary K, Vajreswari A, Ramesh Kumar R, Dinesh kumar B: Chemical composition and immunomodulatory effects of enzymatic protein hydrolysates from common carp (Cyprinus carpio) egg (roe) (DOI: http://dx.doi.org/10.1016/j.nut.2014. 08.006-in press), Nutrition. Srinivasa Reddy Y, Aparna Y, Ramalaksm BA and Dinesh Kumar B: Lead and trace element levels in placenta, maternal and cord blood: A cross-sectional pilot study (DOI: 10.1111/jog.12469-in press) J. Obstet. Gynaecol. Res. 2014. Chetan C. Nimgulkar, Sravani E, Venu Racha, Chalamaiah M, Ravindranath A, Dinesh Kumar B: Carrageenan Induced Inflammatory Phases in Mice and Rat. International Journal of Pharma Research & Review, 3(4):57-65, ISSN: 2278-6074, 2014. M. Shailaja, Yathapu Srinivasa Reddy, B. D. P. Kalakumar, S. A. Brinda, Gottimukkula Manohar & B. Dinesh Kumar: Lead and Trace Element Levels in Milk and Blood of Buffaloes (Bubalus bubalis) from Hyderabad, India. BECTA692(4), 375-502 ISSN 0007-4861, 2014. Chetan C Nimgulkar; Shankar B Anand; Uday P Kumar; Sudip Ghosh; Dinesh Kumar B: ‘Poly Herbal Formulation Prevents Foam Cell Formation Possibly Through Attenuation of CD36 Scavenger Receptor Signalling Cascade’ Arteriosclerosis, Thrombosis and Vascular Biology ATVB;2013; 33: A501. Chalamaiah M, Dinesh kumar B, Hemalatha R, Jyothirmayi T. Fish protein hydrolysates: proximate composition, amino acid composition, antioxidant activities and applications. Foodchem2012; 06.100. Hemalatha R, Ramalaxmi B.A, Swetha G.K, Madhusudhana Rao D, Sesha Charyulu & Dinesh Kumar B. Nutritional status, bacterial vaginosis and cervical colonization in women living in an urban slum in India. IJNAM vol. 4 (5), pp.77-82, 2012. Hemalatha R, Narendra Babu K., Karthik M., Ramesh R., Dinesh Kumar B., Uday Kumar P. Immunomodulatory Activity and Th1/Th2 Cytokine Response of Ocimum sanctum in Myelosuppressed Swiss Albino Mice. Trends in Medical Research, 2011. Bhargavi P.S, Gopala Rao T.V, Mukkanti K, Dinesh Kumar B, Krishna T.P. Increasing emergence of Antibacterial resistance mainly in uropathogens: Southeast part of India. IJMR vol 2, Issue 1, 2010. Krishnaiah Y.S.R, Veer Raju P, Dinesh Kumar B, Satyanarayana V, Karthikeyan R.S and Bhaskar P.Pharmacokinetic evaluation of guargum-based colon-targeted drug deliver systems of mebendazole in healthy volunteers. J.O. Control. release2003; 88:95-108. Krishnaiah Y.S.R, Satyanaranyana V, Dinesh Kumar B and Karthikeyan R.S. In-Vitro drug release studies on guar-gum based targeted oral drug delivery systems of 5-flurouracil. Eur J Pharmaceutical sciencies. 2002;16:185-192. Krishnaiah Y.S.R, Satyanarayana V, Dinesh Kumar B. And Karthikeyan R.S. Studies on the development of colon targeted delivery systems for celecoxib in prevention of colorectal cancer. J Drug Targeting. 2002; 10:247-254. Krishnaiah Y.S.R, Satyanarayana V, Dinesh Kumar B, Karthikeyan R.S. and P. Bhaskar. Invivo evaluation of guargum-based colon-targeted oral drug delivery systems for celecoxib in human volunteers . E. Jur. of Drug Metabolism & Pharmack. 2002; 27:273-280. Krishnaiah Y.S.R, Satyanarayana V, Dinesh Kumar B, Karthikeyan R.S. and P. Bhaskar. In vivo pharmacokinetics in human volunteers: oral administered guar gum- based colon- targeted 5-fluorouracil tablets. Eur J Pharmaceutical sciencies. 2003; 19:355-362. Dinesh Kumar B. and Krishnaswamy K. Lead Toxicity : Treatment and Prevention. In: Implementation of a National Programme in Developing Countries/Proceedings of International Conference of Lead Poisoning. Ed. George AM. Pub. George Foundation in association with World Bank, CDC & EPA - USA, WHO, 1999. Krishnaswamy K and Dinesh Kumar B. Lead Toxicity .Indian paediatrics. 1998;35,209-216. Dinesh Kumar B, Khan M.M and Kamala Krishnaswamy. Therapeutic potential of thiamin in lead toxicity - A clinical study, Ind J Pharmacol. 1994;26: 277-81. B. Dinesh Kumar, C.E. Prasad and Kamala Krishnaswamy., Detection of rifampicin - induced nephrotoxicity by NAG activity, J Tropical Medicine and Hygiene. 95, 424-427, 1992. Prasad C.E, Roopa Mukkapoti, Dinesh Kumar B, Kalpagam Polasa, Tippanna and Kamala Krishnaswamy. Rifampicin induced thrombocytopenia. Lung India. 1992;X(2): 74-76. 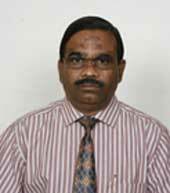 B. Dinesh Kumar “Importance of Animal Experimentation in Pre Clinical Safety & Regulatory Toxicology” in ‘Use of Animals in Scientific Research and Education’ edited by Professors P.N. Tandon, K. Muralidhar and Y. K. Gupta published by Indian National Science Academy, Delhi, 2013. B. Dinesh Kumar and Dr. A.R. Juvekar, Research Study Profile of Rasamanikya (Classical Preparation, Physico-Chemical Characterization, Quality Control and Safety/Toxicology Studies of Rasamanikya), Published Central Council of Research in Ayurveda and Siddha, New Delhi. 2009. B. Dinesh Kumar and Krishnaswamy K Environmental lead poisoning, its assessment and prevention. Poisoning, Poison Control Environmental Toxicology. Edited by Dr.S.K.Gupta (Sponsored by Ministry of Environment and Forest, GOI). Contributed for Position paper on Hazardous Metals and Minerals Pollution in India: Sources, Toxicity and Management: Published by Indian National Science Academy, New Delhi (August, 2011). B. Dinesh Kumar and Dr. A.R. Juvekar Research Study Profile of Rasamanikya (Classical Preparation, Physico-Chemical Characterization, Quality Control and Safety/Toxicology Studies of Rasamanikya), Published Central Council of Research in Ayurveda and Siddha, New Delhi. 2009. B. Dinesh Kumar and Krishnaswamy K Lead toxicity treatment and prevention in Lead Poisoning Prevention & Treatment: Implementing a National Program in Developing Countries and proceedings of the International conference on Lead Poisoning Prevention & Treatment Edited by George M.A, published by George foundation Bangalore in association with Ministry of Environment and Forest, GOI. Kamala Krishnaswamy and B. Dinesh Kumar Lead Toxicity. Indian Pediatrics. 35: 209-216, 1998. Dinesh Kumar B and Sesikeran B (2002). R & D Initiatives on Drug Evaluation, FAPCCI Review, Oct. 2002 :11-12. Dinesh Kumar B. and Kamala Krishnaswamy. Lead Toxicity - Some Research Insights Nutrition News, 1997;18: 1-4. Dinesh Kumar B. Drugs - their use and abuse, Nutrition, 1987;Vol.21(3), 21-28. Dinesh Kumar B and Kamala Krishnaswamy. Drug utilisation percepts and practices, Nutrition News. 4: 1983. Recombinants & Vaccines: (No. of Reports – 26) Alpha Interferon, r-DNA anti-Rabies Vaccine, Hepatitis B Vaccine, Japanese Encephalitis Vaccine (live Attenuated SA-14-14-2), Tetravalent Vaccine, Etanercept, Human Serum Albumin, Anti-Human Papilloma Virus (HPV) Vaccine, Granulocyte Colony Stimulating Factor (r-GCSF), InterFeron Beta – 1B, Pentavalent vaccine. Food And Food Additives: (No. of Reports – 14) Chlorella Vulgaris – 25 ,Shea Olein, Skimmed Milk Fermentate Based Bio- Preservative Formulation, Diacylglycerol Oil, Colostrum Milk Product,Red Gram Pulses Fortified with Ferric Ammonium citrate, Prosopis juliflora, Tea. Ayurvedic Products: (No. of Reports – 8) Ayurvedic Formulation (Coded A,B,C,D & E), Ayurvedic Bhasmas (Vn),Ayurvedic Bhasmas (Wn),AB-FN-02.